MidSouth Construction offered to inspect the roof systems at Alta Woods Methodist Church following a recent streak of storms, some producing large size hail. During the inspection it was confirmed that the hail had damaged the roof systems and the church moved forward with filing an insurance claim. 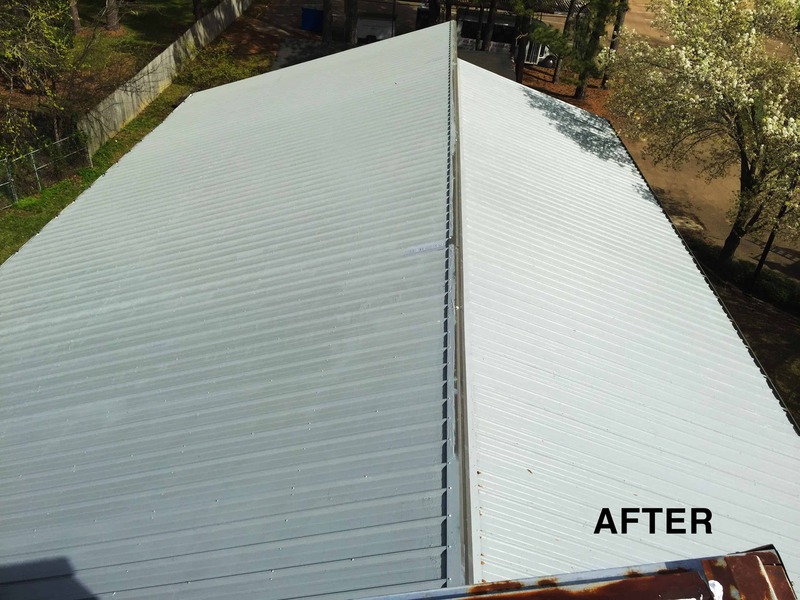 Because the metal only had dents and was not structurally compromised, the insurance company settled with the church for the cost to install an aluminum roof coating. 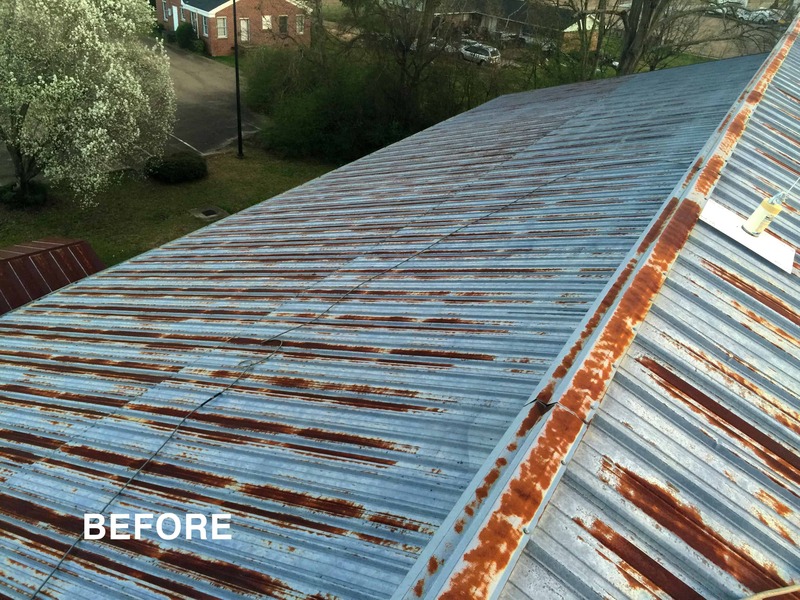 Needing an expert in roof rust repair and roof coating solutions, Midsouth contacted ACS. After discussing the details of the project, ACS suggested a silicone coating, as it would provide superior waterproofing performance compared to the aluminum coating suggested. ACS was able to offer this more costly solution within the budgetary figures provided by the insurance company for the other option, allowing MidSouth to avoid additional negotiations with the carrier. ACS selected the GE silicone system for its reputation and performance. MidSouth was able to offer a better solution with a manufacturer labor and material warranty while staying within budget. Oh and did I mention the rust is gone now?